My kids was having Chinese New Year Celebration at school today and will be going home early at 12pm. They brought some cakes for sharing with their friends and today will be no-lessons, only celebration. Some activities has been prepared by school from lion & dragon dance, mini bazaar, competitions, etc. Today's bento was actually prepared for my kids' snack but they were more excited on the cakes for food sharing. So this snack bento ended up for breakfast. Inside the box : baby carrots, chicken nuggets, steamed broccoli, and Minnie Mouse shapes rice. And I would like to thanks Ann, blogger friend from Singapore who sent me her homemade cookies. She is great in baking. The cookies arrived on Saturday (CNY's Eve). I managed to take a picture of her delicious cookies. 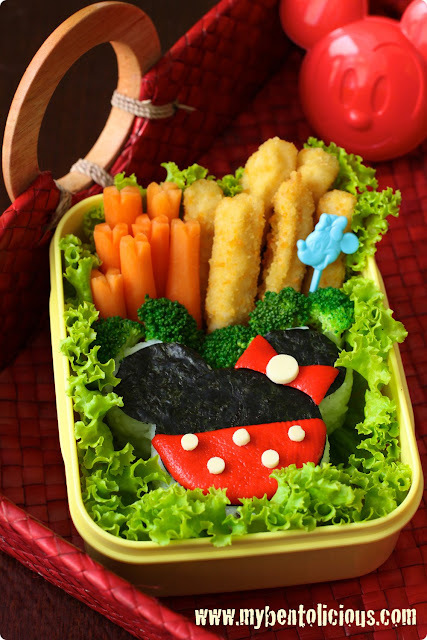 Wow, cool Minnie mouse bento! 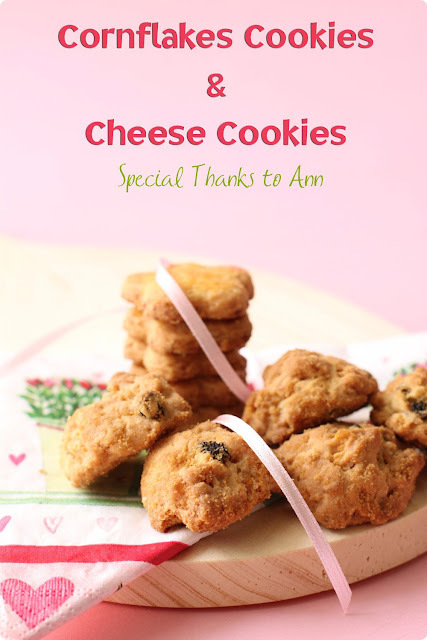 And cornflakes cookies sounds crunchy and yummy! Happy celebration for your kids Lia! Sounds like a fun day! @sherimiya : Yes, they had fun today at school. But they refused to join the costumes competition ;) Thanks a lot Sheri! Nice bento as always :) So happy that the cookies finally reached you and nice clicks too. Hope you like it. How are you today ~ better? That was such a simple bento I wouldn't mind having that for my breakfast too. The cookies look delicious and sound like they may be easy to make. I just stumbled upon your blog from Hapa's site. Love your bento and I'll be back more to get ideas! wishing you and your loved ones a happy and prosperous new year. Gong Xi Fa Cai! @noobcook : Thanks a lot Wiffy for the wishes! Those look tasty and I love your presentation. i love the red one of minnie mouse shape. What is it mbak? haha the minnie mouse rice is awesome - i love the bow and the dots! and ann's cookies look absolutely delicious!